I compose music for many types of production and also for my own performances. You can find me on many of the popular music libraries out there and sometimes Royalty Free. My main focus today is towards AudioSparx.com and you can use the embedded player below to listen to my music there or even to purchase a license for use in your app, television or film production. Or maybe for your corporate video or YouTube presentation. It’s up to you and the prices shown are more guides than actual prices. How you intend to use the music will of course effect the price at AudioSparx. You may also notice that tracks like ‘Tuar’ have different edits and the price will change accordingly. So if you only need 30 seconds and the 30 second edit that is available is suitable then you can save on cost there. Most of these tracks will eventually have more edits available soon. At this time I’m concentrating on increase the repertoire and I will then add more edits. If you just fancy having a listen regularly to music that I create, then feel free to follow me at SoundCloud.com as I often add my music there for the enjoyment of all. And if you’d like to keep up to date with what I’m up to simply as a performer or as a composer then feel free to follow me on Facebook or Twitter. Who am I? My name is Lewis Smith and I hail from sunny (not so) Belfast, Ireland. I have been a performer (saxophone and clarinet), a teacher of music and a composer for over 20 years. 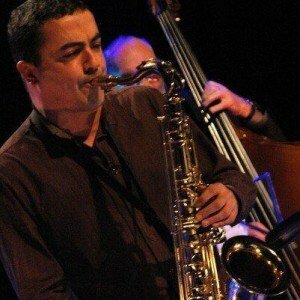 Performing at many venues around Europe, Central Asia and regularly at home in the local jazz circuit. My compositions for my own performances are often jazz or have even had the influences of Kazakh traditional music in them in the past. But my production music is cinematic, dramatic and orchestral. Have a listen… you’ll see what I mean. At this time I am producing at least one track per week so check back often to find out what’s new.